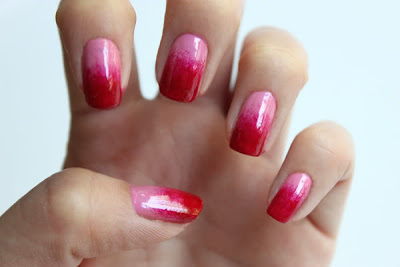 How to do Ombré Nails? : Everything About Fashion Today! 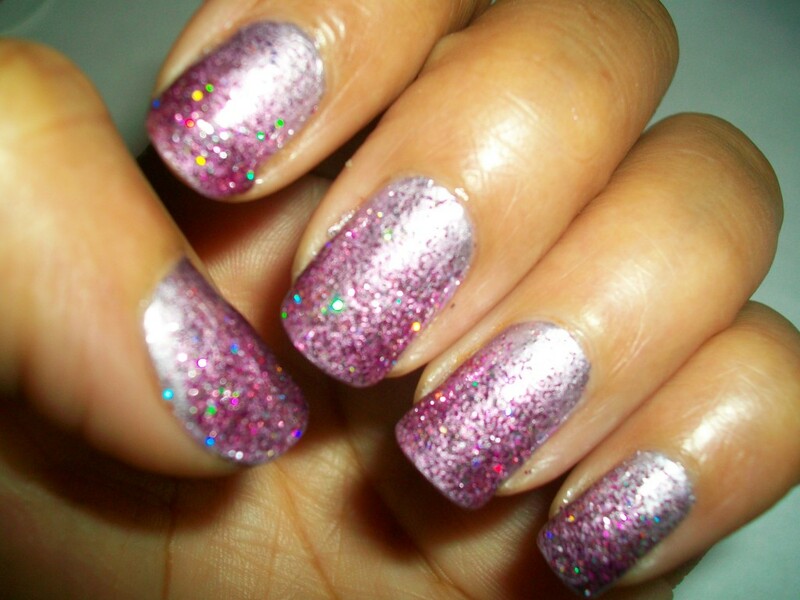 Start with shaped and buffed nails. 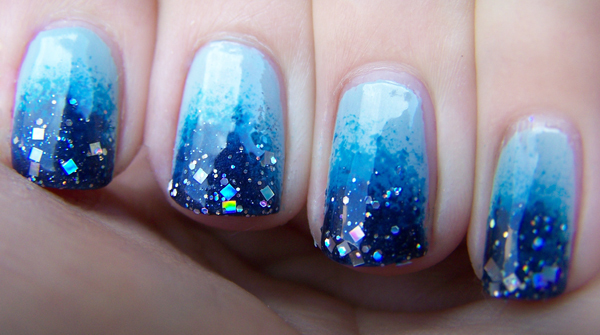 Starting at the cuticle area, apply a blue polish in a thick layer, using a dabbing technique, about 1/3 of the way up the nail. 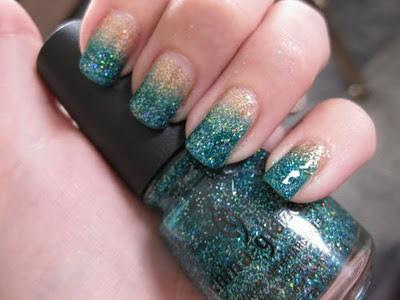 Using a lighter, metallic-blue shade, immediately polish, starting where darker blue ends, and "drag" the end of the darker blue polish up the nail to the end with the lighter blue to create an ombré "fade" (so the colors look like they fade into each other). 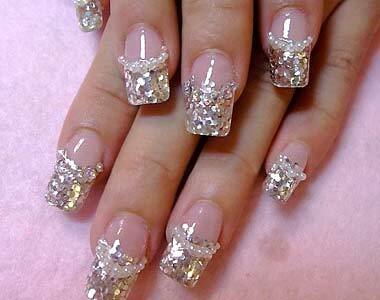 Continue this application with all nails. Seal nails with a quick dry-top coat.